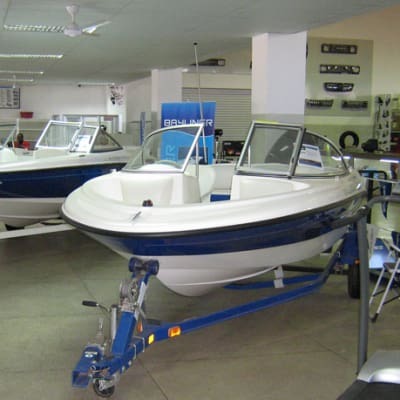 Autoworld's branch at Lusaka's Down Town shopping mall is stocked with a good range of boats, boat engines, equipment and spare parts. The company's marine team is on hand to offer advice and to help keep your boats in full working order. Autoworld's marine shop caters for all kinds of boating needs. Every Aliboats boat is designed by an approved draughtsman. The company builds sea-going hulls and barges, airboats, floating quads, rigid inflatable boats (RIBs), trailers, camping boats, small tugs, jet ski-propelled boats, wheel chair boats, cages, troats, long range fuel tanks, and a full range of canvas outdoor products.